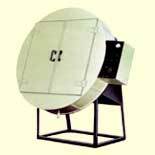 Sahil Plate Coating Whirler is compact, soundless and elegant design. In addition, Aluminum turn table for easy maintenance. Control Panel located safety to avoid chemical contact. Counter balanced lid and surrounded for durability and easy handling. Variable speed through DC Drive Motor. Sizes : 20" x 30" & 30" x 40"